- Absorbs excess moisture in small areas (drawers, storage boxes, cupboards, wardrobes, bookshelves, and bathroom cabinets). - Non-toxic and completely safe. - No batteries or power required in operation. 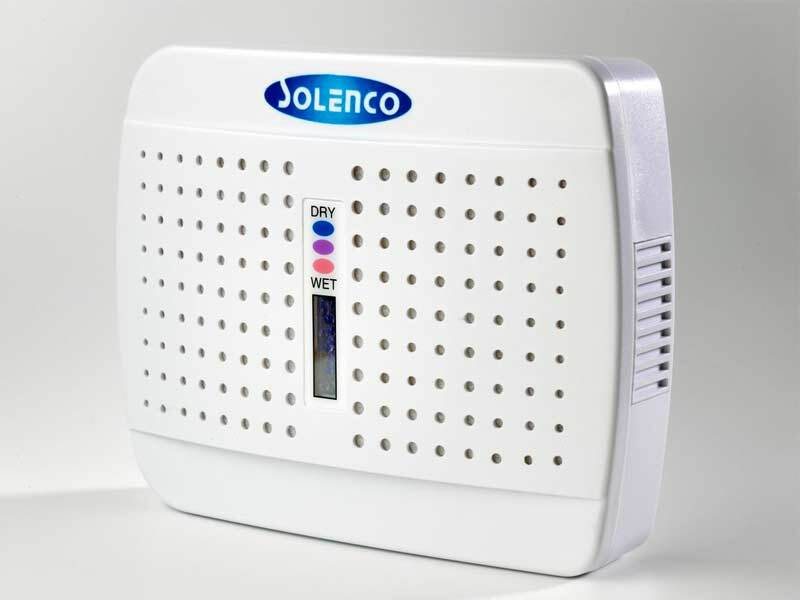 The E-333 Reusable Mini Dehumidifier is specially designed to remove excess moisture and bad odour from closets, cabinets and other confined spaces. The unit contains high molecular absorbing granules, Silica Gel SiO2, also called Water Glass. Water Glass is a very thirsty substance and has an absorption rate much higher than traditional, soluble humidity adsorbing products. This is the most efficient way to absorb moisture. - It is reusable after recharging - When the indicator window turns pink, simply charge the unit by plugging the unit into a standard socket. When the drying process is complete, the indicator window will turn blue and the unit is ready to use again. - Outer casing : ABS plastic. - High molecular absorbing granules: SiO2. 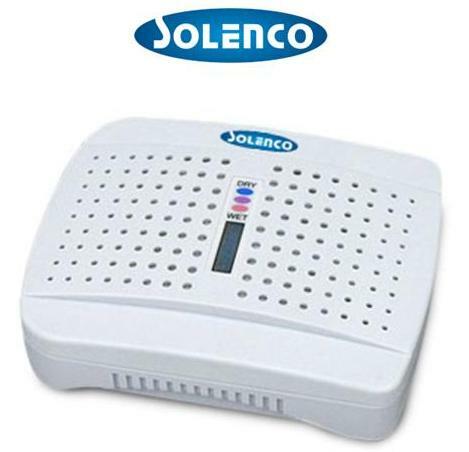 - Voltage:100 V - 240 V.
- Product Dimension: 15.3 x 12 x 3 cm. - Packaging Dimension (color box) : 16.5 x 13 x 4.5 cm. - Patent: Taiwan, China, Japan, USA and UK. - Safety/Quality Approvals: CE & UL. & PSE.